METAL PULP AND PAPER: Hello Sharone. So glad to be catching up with you. Thank you for taking the time to answer some questions for Metal Pulp And Paper. We appreciate it. How are you doing? How has the beginning of your 2018 been so far? Happy, healthy? SHARONE BORIK: I’m doing really well. This year has already been busy in the best way. MPAP: For those that don’t know you or your music just yet, let’s take a moment and get them on the same page. 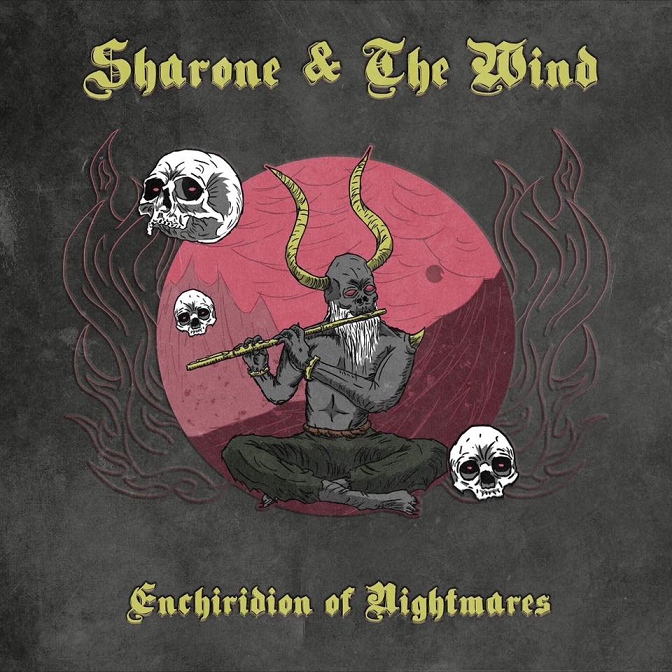 Sharone & The Wind is a piano-driven dark rock band from Denver, Colorado, that some say channels chaos into art? Explain the 'chaos into art' a little bit more for everyone? SHARONE: 'Chaos' has been an ongoing theme in my music ever since the first song I wrote at the age of eight. I always seek inspiration from the chaos in my personal life or in the world around me. That plays into the lyrics of my songs as well as our live shows. When I write lyrics, I channel all of my senses and describe the topic or situation in question almost like a poem. We display that at our shows by bringing pieces of those lyrics into the real world with stage props, costumes, and scripts. We make serious and hard-hitting songs artistic to the best of our ability, and that’s most likely the reason we hold that description as a band, 'channeling chaos into art'. MPAP: So, there’s a billboard being constructed downtown Main Street in Denver, what else does it say about Sharone &The Wind? SHARONE: Denver ‘dark rock’ band lives up to their title by releasing horror-themed album Enchiridion of Nightmares. MPAP: You have a new release coming out in April from what you told me? What can you tell us about it? SHARONE: Writing this album was therapeutic to say the least. Before I began writing it, I had just gone through one of the most difficult changes of my life, and I felt more alone than ever. I felt angry, scared, and hurt, and I took everything I could from the experience as a lesson that allowed me to grow as a person a well as a songwriter. I was especially inspired by horror novels and films at the time, which themed the majority of the songs. This album is honestly my best work thus far, and my bandmates have made it bigger than I could have ever imagined. I’ve never been so excited to release a new project in my life. MPAP: What can your fans expect to hear when they listen to it for the first time?? SHARONE: A lot of change, honesty, and scary stories. This album is for anyone who has ever felt scared and alone during change, and anyone who has ever felt angry when betrayed. This album is a collection, or an 'enchiridion', of really dark and heartbreaking sketches painted as horror stories. MPAP: How would you say it differs from your previous release Storm (April 2017)? 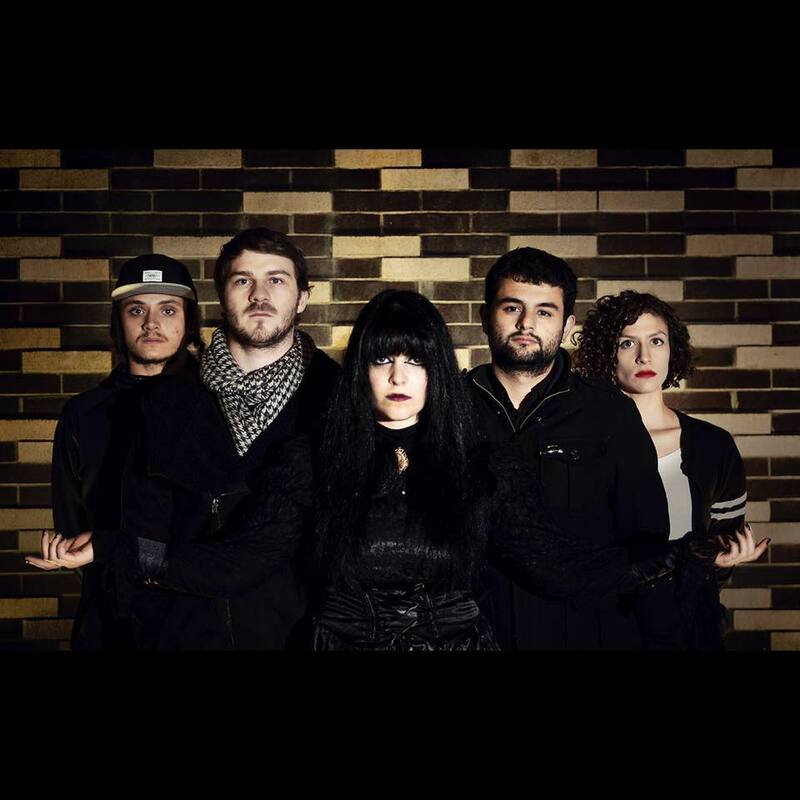 SHARONE: Since our debut album Storm was released, the rest of the band was entirely replaced by a new group, and the new members have added so much depth and color to the previously released songs as well as this new album. I’ve also grown a lot as a musician since I wrote the songs on the first record, and all of the change that occurred in my personal life is displayed in these songs. MPAP: Now with some music under your belt, how would you say you’ve grown as a musician and a singer since Breathe, your debut EP release (May 2016)? SHARONE: To be completely honest, I’ve made so much music since that EP, that I forgot it was ever released. It seems like so much has happened since then. When I released Breathe, I was 17 years old, and I had only been involved in the local music scene for about a year and a half. I mostly released it so that people knew I existed. A month after it came out, I formed the first incarnation of 'The Wind' and began playing with a full band. I spent the months between completing my solo EP and forming the band writing music any chance I got. That was sort of the time I was finally figuring out exactly what I wanted to do with my music and the direction I wanted to take with it. Later that year we recorded Storm. After that album came out and my first lineup deteriorated, I found the right people and the right mindset to make the music I had been imagining since before the first album was recorded. This album is my best work being displayed in the best way possible. I really challenged myself vocally on this new album as well. I used parts of my voice that I’ve shied away from in the past, and I pushed myself to my full ability. I truly believe that Enchiridion of Nightmares will blow Storm out of the water. MPAP: When you’re writing new music, are you spontaneous, or do you have to sit down in the studio and have everything planned out first before you even attempt to do anything? SHARONE: I learned when I was very young that you can’t force art. It has to be natural or it just feels wrong. I never try to plan or structure songs in any particular way ahead of time because then I’ll feel like I’m in a box. I’ve always loved writing music because it’s the only time I feel completely free, and I don’t want to jeopardize that. When I sit down to write a song, it’s already inside of me, I’m just putting it on paper. MPAP: What does being creative mean to you when it’s time to write new music? SHARONE: Not being afraid, and not being shy. Most people who know me know that I’m really shy, but when I write music and perform, I don’t hold back at all. MPAP: Where do you draw inspiration from when you’re writing songs? For instance, where was your mindset at when you were writing songs like "Local Rock Star", "Beautiful When I Die", or even "One More Drink"? SHARONE: Everything I do in my life is directly related to my music. When I’m reading a book, or watching a movie it’s for inspiration to write more songs. I try to relate the things I find in novels and films to the situation or topic I’m writing about. I wrote "Beautiful When I Die" about the difference between how artists are perceived and what they’re really like. The rest of the songs on the Storm album talked about different chaotic experiences I encountered that year. The songs on Enchiridion of Nightmares came from all of the emotions I had lingering inside me after my first lineup broke up, and the different horror books and movies that I was almost binging on for a few months. MPAP: What are you trying to communicate with your music and your lyrics? What’s the message you’re trying to get across to the listener? SHARONE: You’re not alone. I write about serious topics that often make me feel a little bit crazy, but people tell me that they relate to the lyrics that I write and that’s all I really want. MPAP: Some of your influences are from one end of the genre spectrum to the other. Black Sabbath to Pink. Explain this? SHARONE: I’ve never stuck to one genre spectrum with what I’m listening to or even what I’m writing. Our new album ranges from hard rock songs to a piano ballad to something in the middle. I love change and variety. I’m constantly changing my look, my themes, my concept, my sound, and the music that I listen to. I love listening to bands like Black Sabbath because I musically identify with those types of bands more than others, but I also love artists like Pink for different reasons, such as her powerful vocals and exhilarating live shows. I find something to love in all kinds of music. MPAP: Let’s finish off this interview by really getting to know you now. If I was to turn on your iPod, what 5 artists would I see on your recently played list? SHARONE: Well I guess since we’re already talking about them, Black Sabbath and Pink for sure. For the other three I’d have to say Siouxsie and the Banshees, Lady Gaga, and Evanescence. MPAP: If you could open for any artist on tour right now who would it be? SHARONE: It’s basically been my lifelong dream to open for Evanescence. That band inspired me to do what I do today. MPAP: If you could witness any event of the past, present, or future, what would it be? SHARONE: Unfortunately, this event would have to be in the future: when 'female-fronted' is no longer considered a genre. MPAP: Is the artistic life of being in a band lonely? What do you do to counteract it when creating music is your passion? SHARONE: Sometimes I feel trapped in band-mode and it is a lonely place. I never felt more alone than after my first lineup broke up. It’s hard sometimes. But that all changes when I’m creating or when I’m performing. And it’s incredibly comforting to finally have a band that’s like a family. SHARONE: Definitely still making music. Hopefully touring constantly. Hoping changing people’s lives for the better through music. MPAP: On behalf of myself and Metal Pulp And Paper, I’d like to thank you, Sharone, for being a part of this interview. We look forward to what you and The Wind do in 2018 and beyond. SHARONE: Thank you so much for taking your time to talk about the band. MPAP: Any last words for all the readers and your fans out there before we bring this to a close? SHARONE: Thank you to everyone who has supported Sharone & The Wind thus far. We worked incredibly hard on our new album, and we hope you all love it. To the newbees, thank you for taking the time to read up on our band. We hope to leave a good impression on you with Enchiridion of Nightmares. The new release will be available digitally on April 13th, and we’ll be selling hard copies at our shows as well as our online store at sharoneandthewind.bigcartel.com. Stay tuned for releases of singles, music videos, and a CD release party.